A collection of visual art lessons, publications, projects and reflections that demonstrate competencies in technological, pedagogical content knowledge and skills. Nelson, J., Christopher, A., and Mims, C. (2009). TPACK and Web 2.0: Transformation of teaching and learning. TechTrends, 53 (5), 80-85. Christopher, A. (2008, December). Web 2.0: The Read Write Web. School Arts Magazine. 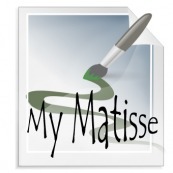 My Matisse, is a wiki created for upper elementary art students. To complete the wiki, students will search for biographical information on the artist Henri Matisse. Students will collaboratively write the artist's biography and publish photographs of the artist, his life and work. In addition, students will write reflective statements about the artwork and create and publish their own Matisse inspired piece of art. I believe that a wiki is one of the best tools for a web-enhanced lesson. Contributing to a wiki encourages students to search for, organize and summarize information in their own words. Students also learn about publishing to the web and citing references through the use of hyperlinks. Quality design and copyright issues will need to be addressed as well as methods for including interesting and valuable widgets. Photography 4Pint Sized is a professional resource deisgned to support art educators when including photography in the art curriculum. The web site's primary purpose is to provide instruction about the creation of pinhole cameras and to provide example images of pinhole photography. Numerous links to online resources have also been included. Resource topics include teaching photography to children and directions for making a camera out of anything from an oatmeal container to a suitcase. The blog serves as a virtual critique in which I can upload a student work sample or an image from a professional artist. The critique blog will encourage students to think and write about their own art as well as the art of others. In doing so, students will use critical thinking skills to analyze, interpret and communicate ideas about art. This fall, I also intend to publish an additional page to showcase student work and writing. 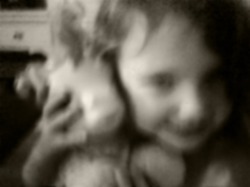 Photography 4Pint Sized was developed using Weebly, a free web development tool. I chose Weebly because I was interested to see if it might be a good tool to use with my students. The drag and drop features allow the user to create a professional looking site with virtually no experience. The challenges as with any online tool, include wait time when adding content, images and design changes. Design control is also limited to the tools available. Overall, Weebly is an effective web design tool and I am please with the results of my work. I would not hesitate to recommend Weebly for teachers and students. There are numerous ways to integrate web based technologies into art lessons. One of the most important things to remember is student safety. Remind students to publish under their first name only or have them create a user name that only the teacher and parents know. Students should never publish identifiable information such as their age, address, or phone number. Overview: Students use Zoho spread sheets to collect gender and media data for each ATC received. Students analyze data for trends in media choices. Overview: Students gather research to add to class wiki. Overview: Students view and respond to an image posted on the "Critique" blog. Knowing where and how to find information is an important tool for a successful education and life long learning. In my blog on Internet Safety, I discuss the issue of evaluating and verifying sources. Additionally, the worksheet, Evaluating Web Pages, is valuable tool to use with students when searching for information online. When looking for an authentic and quality web page, students should look for the author's contact information and expertise. Students must also search for current information and be weary of sales pitches and biased points of view. In the blog Web 2.0, I mention one of my favorite new technologies called Diigo. Diigo is a social bookmarking site that gives its users the ability to compile useful Internet links, categorize the links into lists and share the bookmarks with other users. Diigo also has great other features such as text highlighting, sticky notes and group memberships. I love this technology tool! Unlike a Labrador retriever, I have a difficult time finding things when I need to fetch them and Diigo makes it easy to locate my saved information from any computer. In fact, I have developed a few lesson ideas that incorporate the concept of social bookmarking. I have several bookmark lists, three of which include teacher resources, student resources and search engines. In my three part blog series called Internet Safety, I discuss the enormous amounts of information readily available to anyone with an Internet connection, its value and the importance of teaching our students to be "safe and ethical surfers". Internet safety includes evaluating Internet content and downloads as well as using caution when publishing names, photos and other personally identifiable information. Teaching children about plagiarism and citing sources is an invaluable lesson in ethics. In my blog Literacy in the Information Age I wrote that today’s literate person must be able to do much more than read and write; the literate person must also be able to filter through the overwhelming amounts of information readily available at one’s fingertips, decipher what is important and then use that information in a meaningful way… no short order (NCTE, 2008). Upon reflection, I realized that I may not have done a great job at teaching my high school students to be literate investigators and gatherers of information. It is critical that we teach our students the value of looking for multiple and credible sources of information. We must also teach students to reflect on the information they find and evaluate, analyze and synthesize facts and opinions to create new documents that steer clear of plagiarism. Googles of resources, just a mouse click away! Developing my version of "The 10 Best Uses of the Internet" encouraged me to examine what I find professionally useful about the Internet. My examples range from professional organizations and networks to opportunities to display student work online. I used a tool called Toondoo to create the 10 Best Uses of the Internet in Art. Toondoo is a great online tool for creative expression. Users do not need artistic talent to create comic strips. The images and backgrounds are already available and can be inserted using a drag and drop feature. Image elements can also be rotated or resized depending on the user's wishes. Text is easy to add as well. Some experience with design or creating visual compositions would be helpful for creating an attractive comic strip or book. I plan to use this tool with my elementary art students to create visual story boards. 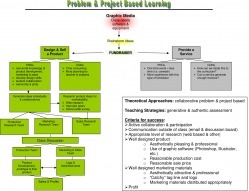 Project Based Learning and Engagement in a Pilot Graphic Media Course is a reflective paper summarizing lessons I taught as a high school art teacher. When thinking about my project based lessons, it was apparent that my students were encouraged to use a variety of strategies to learn new concepts and skills. New learnings were then applied to the planning and development of an end product. Students took ownership of these projects and higher order thinking was evident during group/peer dialogue and in the final project presentations.